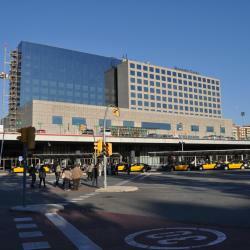 Looking for hotels near Palau Sant Jordi? 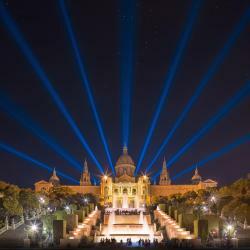 Hotel Concordia Barcelona is located 2625 feet from Plaza España and the Fira de Barcelona Exhibition Center. It features an outdoor swimming pool, hot tub, cocktail bar and mini golf. The staff were outstanding and knowledgeable about the area attractions, restaurants, and nightlife. 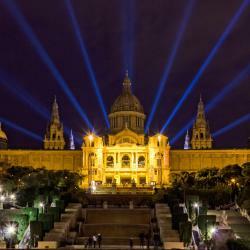 Hotel Vilamarí is set 820 feet from Plaza de Espanya Metro Station and the Fira de Barcelona Exhibition Center. This design hotel features a terrace and a small gym with Turkish Bath. 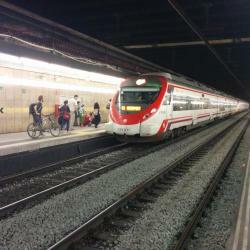 my 9 y ol daughter and i stayed for one night between train trips 10 euro max. The stylish Evenia Rocafort is located in central Barcelona, 656 feet from Poble Sec Metro Station. Air-conditioned, soundproofed rooms feature flat-screen TV and free internet access. The location was great, close to the metro. The bathroom was clean and the bed was comfy. 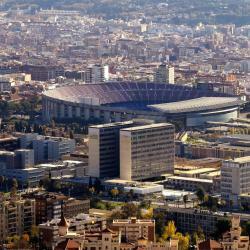 Hotels with great access to Palau Sant Jordi! Located on the edge of Barcelona, but very near important business and commercial areas of the city, this is a smart and stylish hotel with great access to the airport. Was allowed to use room 4 hrs before check in. Helpful with directions to metro and airport bus. 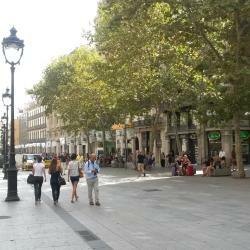 Travelodge Barcelona Fira is located opposite the Fira Gran Vía Congress Center in Barcelona’s business district of La Pedrosa and two minutes walking to metro station Fira with direct line to city... Great location on a direct metro line from the airport. Station is a 5 minute-walk from the hotel. Onix Fira features a small rooftop pool, private parking, and soundproofed rooms in the center of Barcelona, overlooking Joan Miró Park. 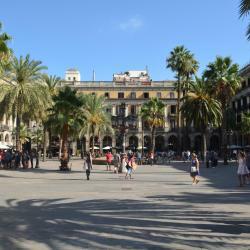 A basic hotel, great location near magic fountains, shopping centre and near the metro. People are talking about Palau Sant Jordi! Explore guest hotel reviews featuring "Palau Sant Jordi"
Beautiful room on the 20th floor, modern design, great layout. Excellent breakfast. We stayed there as it is reasonably close (3km) to Palau Sant Jordi where we were attending a concert. Underground parking was helpful, included in the price. Friendly staff. Shopping mall is 5 minutes walk away.